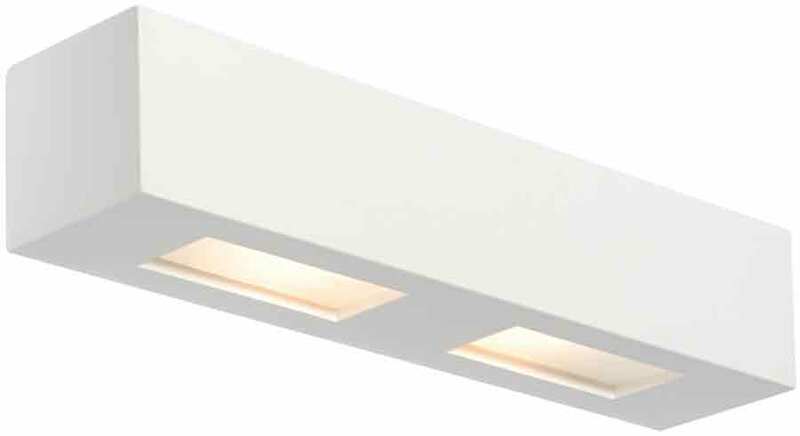 A contemporary style 35cm long rectangular white gypsum wall light with twin square cut-out down lights and frosted glass shades for a soft light output. The Box is a great choice for use in both domestic and commercial applications, with its simple boxy design it has a contemporary feel. This stylish wall light is an ideal choice for modern living room, hallway or bedroom and can be painted to suit your room décor. Covered by a manufacturers two year warranty. Please note that there are no other products that match the Box wall light.